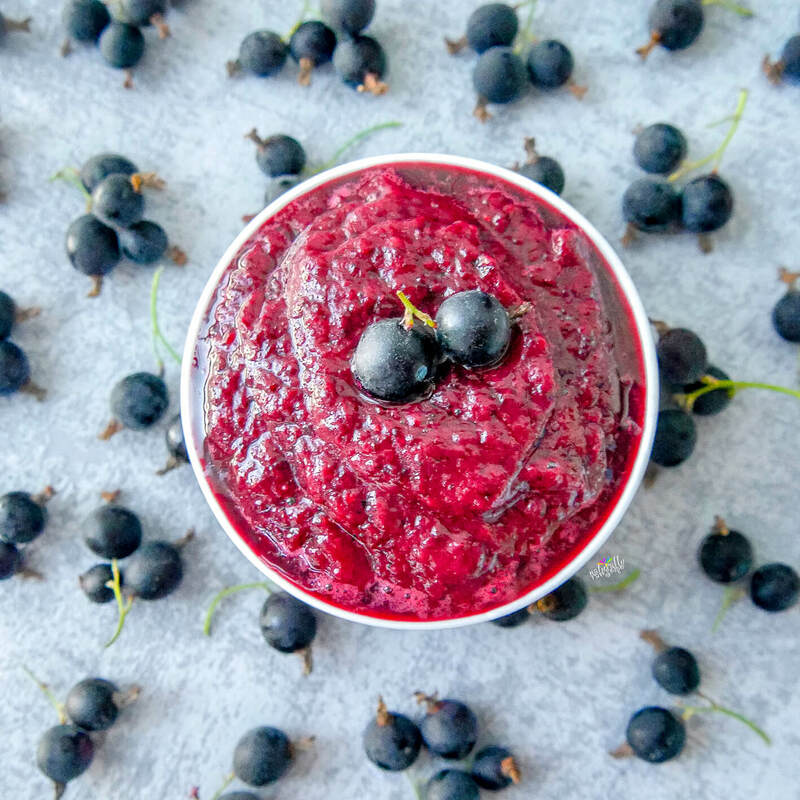 Berry season is the time to take full advantage of this powerful healing fruit. We have 3-4 different types of berries in our garden: Raspberries, blueberries, black currants and black gooseberries. And sometimes it’s hard to eat them all up before they get bad/moldy. In that case I either freeze them for the winter season or I make berry jam to make them last a little longer. 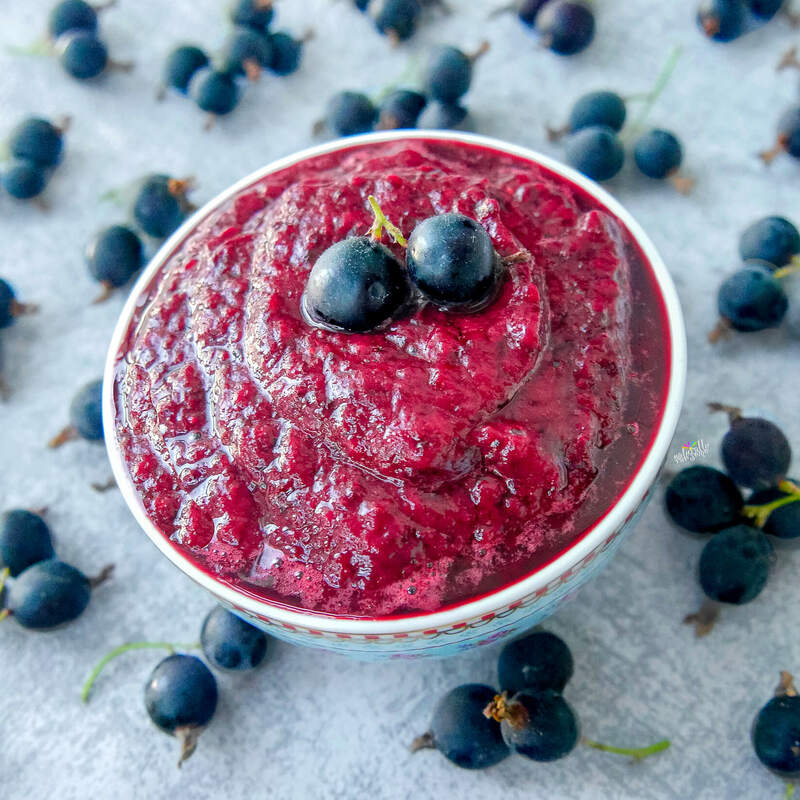 It was actually the first time that I made jam from black gooseberries and it turned out so delicious that I’m hooked with making berry jam pretty much every week now. Strain if desired, to make it even smoother. Keeps for about 1-1 1/2 weeks in the fridge, depending on how ripe the berries are.